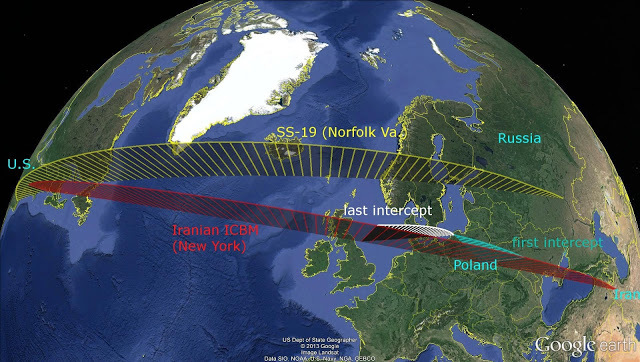 US State Department chart showing intercept lines for Iranian-fired and Russian-fired missiles aimed at the US. The new standoff is, unlike the Cold War, distinctly asymmetrical. Russian President Vladimir Putin oversaw the launch of a fourth and final line supplying electricity from Russia to Crimea on Wednesday, saying the project had broken an energy blockage he accused Kiev of imposing on the peninsula.